One of the most perfectly preserved medieval cities in Europe, Bruges has been one of our most popular continental destinations for many years. Famous for its lace shops, magnificent churches and, of course, chocolate. 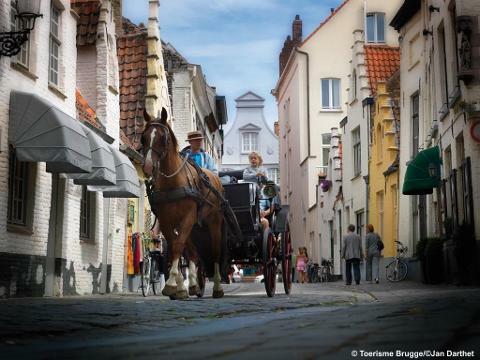 A holiday in Bruges is like taking a trip back in time as you wander through cobbled streets surrounded by historic buildings as horse drawn carriages go by. A trip on one of the canal boats gives you a unique view of ‘the Venice of the north’. One of the best city break destinations in Northern Europe. After being collected from your local pick up point around 7.30am we travel to Folkestone for the Eurotunnel crossing to Calais. 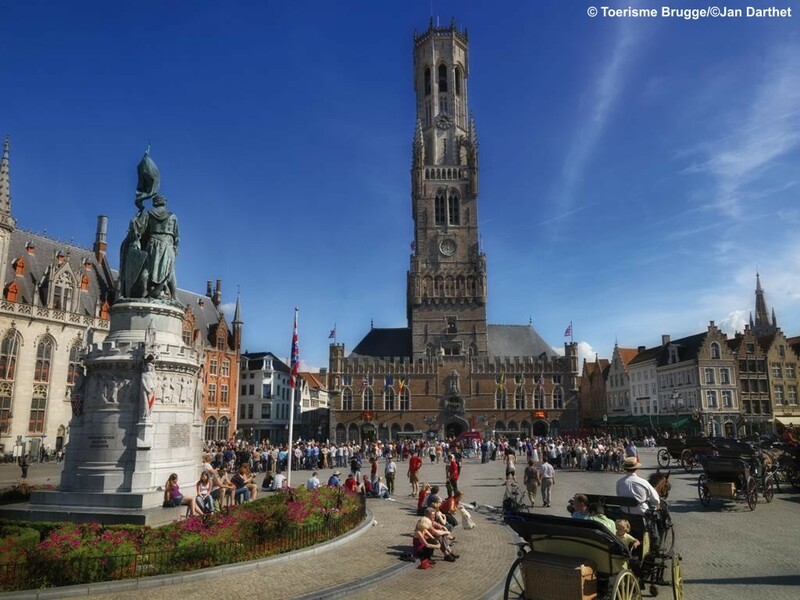 From Calais, Bruges is only 1 ½ hours away. Two full days in Bruges. 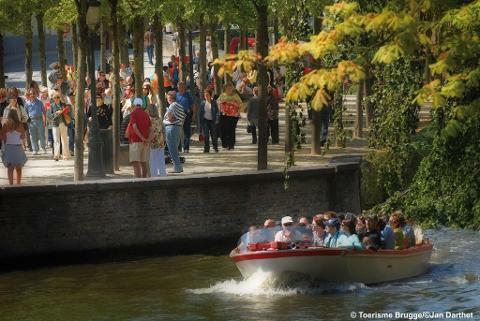 With so much to see and enjoy in Bruges we have allowed for free time during your stay in the town. On the morning of Day 2 we have arranged for a local guide to give a short walking orientation tour to learn the fascinating history of the town (Included). A boat cruise around the city is also an excellent way to see the sights. Other attractions include the Diamond Museum and Chocolate Museum. Enjoy time relaxing in the pavement cafes & bars and soak up the atmosphere. The compact city centre is easy to explore and there are plenty of attractions to occupy your time. If you do want to go further afield there are many local tour companies offering excursions out to the surrounding area. We leave Bruges and head back to Calais - boarding the lunchtime Eurotunnel crossing. Arriving home around 5.00pm to your local drop off point. 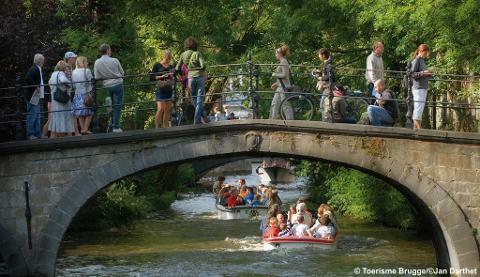 We are returning to the Academie Hotel which is well located in a scenic and peaceful area of Bruges, close to The Beguinage and only a 10-minute walk from the Grote Markt. 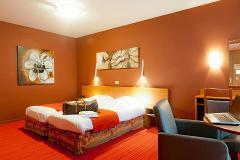 All bedrooms are comfortably furnished having a private bathroom with bath and shower over. Other facilities include a television, fridge, safe, tea/coffee making facilities and free WiFi. The hotel has a lounge and cosy bar with the hot & cold buffet breakfast served in the charming cellar of the hotel which includes pastries, breads and fresh coffee. Lift to all floors. 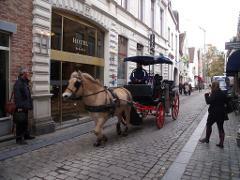 Please note due the narrow cobbled streets the coach will drop off 200m from the hotel.